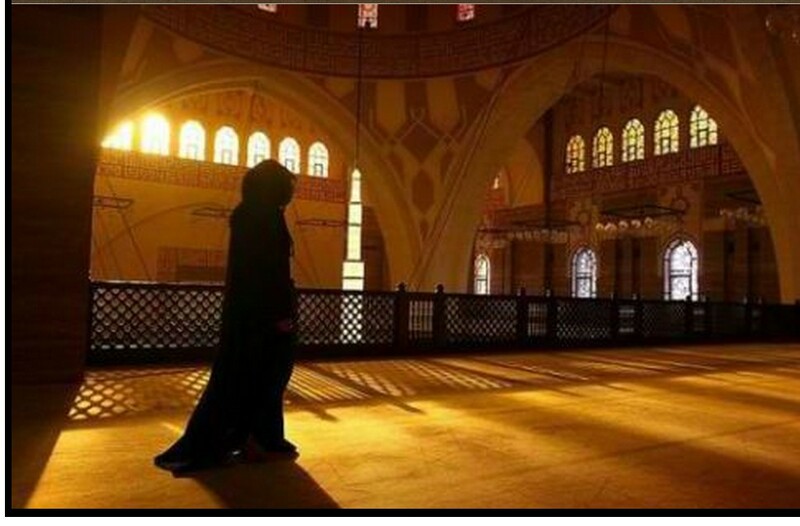 Ramadan presents the perfect opportunity to recharge our spiritual batteries for the year. This is a very good example why Mu’ammar al-Qathafi insisted only on the Holy Qur’an, and no ‘HADATH’ or any texts written by men in power as the Ulami of the WAHHABI ! “DAASH” Prevent women from performing Tarawih prayers in mosques because of threats of: blowing up any mosque where women are present !! are all under the control of the honorable sons of AJEELAT. The reconciliation agreement between ‘Zintan and al-Rajaban’ accorded with Sabratha and Surman and Ajeelat, inside the city of Sabratha is sealed with the required signatures. Enter one of the Army battalions from the sons of Ajeelat city, to their city, after the agreement signed in SABRATHA. Our troops enter the city of Ajeelat In the meantime, amid very welcome by parents. City Ajeelat under the control of our forces (but in reality,not entirety) and Gary deal with the remnants of Jertam and combing the city for the remaining rogues. Some young people from the market area Andmona to the brigade Orouba fighter and there secretly track the militias want to hand itself on condition of Accessories. 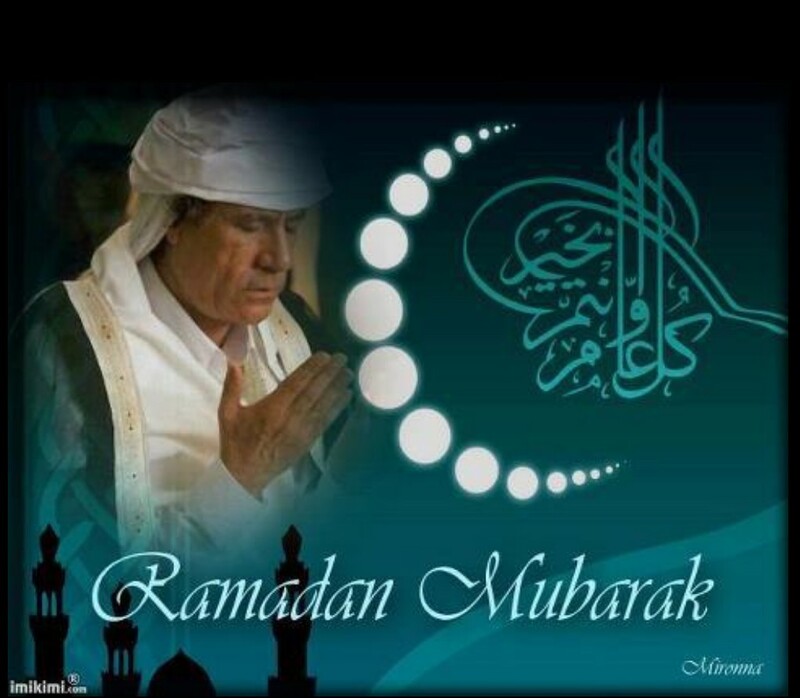 “Aaohror Anchaouallah forward to my Lord Allah helps and Muammar and Libya over the ups and reactionary al-Mends. The City is FREE !!!!! News from inside Bani Walid, and Allah knows ! The commander of one of the key operations to rid Benghazi of Islamic State militants insists the eastern Libyan city is on the brink of victory in its battle against extremists. Colonel Ali el-Mahdi, who is in charge of Operation Benina, told Sky News that he was confident of clearing the city of ‘DAASH’ fighters within eight weeks. He was speaking as the sound of gunfire and mortar shelling rattled around us. Sometimes the Libyan soldiers are close enough to see the long-bearded extremists in buildings opposite their positions. The extremists once controlled large sections of Benghazi but are now holding out in only small pockets. “Benghazi is key. Then other parts will be easy (to clear),” Colonel el-Mahdi said. Earlier this week, the Pentagon announced a US airstrike had struck a gathering of extremist commanders in Ajdabiya, a few hours drive away from Benghazi. The Libyan Airforce claims they made the strike ! ‘Ansar al-Sharia’ (now part of the ‘Daash’ organisation) denies that Moktar Belmoktar was killed. The USA has a habit of making false information distributed to the public. It is the first time though, that there has been a public admission of a U.S. strike inside Libya since the CIA-led terrorist dominated ‘uprising’ in 2011, which toppled and destroyed the ‘Great Jamahiriya’. It has certainly bolstered confidence on the front lines. “Just ten days ago, this building, this area, was under their (DAASH / IS) control,” Colonel el-Mahdi said. We are taken by the Libyan Army through streets with devastated buildings on either side. “This is ‘Daash’ (I.S. ), this is Daash, that is Daash,‘ the soldier driving us says over and over again, referring to the devastation left caused by I.S. (DAASH) extremists. The sections of the city we saw are wrecked. Benghazi has taken a battering. “Most of it is calm now,” says Colonel el-Mahdi. Yet we were told, that because we are foreign journalists, the city is too unsafe for us to stay overnight, or roam around unaccompanied by the Libyan Army. The Libyan Army is supporting the internationally-recognised government based in nearby Tobruk. 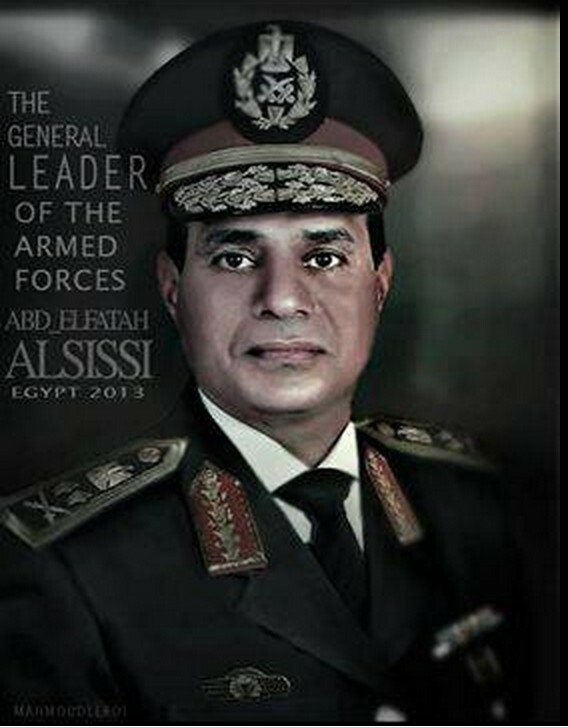 General Khalifa Hftar was made commander of the forces in March. He is a controversial figure who was once Colonel al-Qathafi’s chief-of-staff, exiled, then returning to Libya. He is seen by many in the east as the sole potential military-saviour of a fragmented Libya. Hftar is loyal to the ‘MAJLIS al-Nuwaab'[Council of Deputies]: the only ‘Governmental-body of deputies’ the international community recognises, which, as setup, is confined mostly to Tobruk, Casablanca (by the ABRAQ al-BAYDA International airport) and the environs. the liberation of the capital Tripoli from criminal gangs. The highly suspect Navy Seals (so-called) ‘assassination of bin Laden, on 30 May 2011, was in fact ‘carried out’ on that exact date simply to bury the news of Muammar al-Qathafi’s youngest son and three infant grandchildren having been murdered in a NATO bombing on the same day; and, curiously, members of the Navy Seal team that carried out the (so-publicized) ‘hit’ on Bin Laden in Abbotabad, Pakistan, were ‘themselves killed in an accident some months later’. It brings to mind of the great Muammar al-Qathafi’s claims in 2011 that extremists sent back to Libya from America’s Guantanamo Bay prison in Cuba were hugely involved in the bloody uprising against him. I had personally wondered for a long time why the US was keeping so many ‘terror suspects’ in Cuba (many of them without charge) for so long and, it turns out, subjecting them to torture in many instances; it seemed to serve little purpose other than to radicalise (or further inflame, in the case of those detainees who may have genuinely been terrorists) the detainees. By the same token, it was known that many of the armed rebels terrorising Syrian towns at the outset of the country’s ‘civil war’ were death-row inmates released from Saudi prisons. On the subject of Libya, however, it was also clear from multiple accounts that a number of the so-called ‘Libyan rebels’ were jihadists from the US Occupation of Iraq, quite possibly including ‘Camp Bucca’ inmates (it is also an established fact that many of the jihadists fighting against The Great Jamahiriya and al-Qathafi in Libya were then channeled into Syria to fight the Syrian government forces and therefore likely that some of these were what we now call ‘DAASH/ISIS/ISIL’). It is entirely possible, given the evidence, that ‘Guantanamo detainees were deliberately sent back to Libya with a mission to unleash chaos in that country and paid-off attempt to murder al-Qathafi, and it is equally possible that ‘Camp Bucca’ was used to ferment the sectarian conflict in Iraq, Syria and the Middle East for the purposes of everything that has since followed in the region. The Wahhabi ‘Islamic State’ and the ‘Zionist State’ can be argued to be different sides of a similar coin, both being creations of Western masterminds with a totally distorted (unbelievably mis-interpreted) sense of ‘religion’ and the truth; and both forcibly imposed onto lands that did not consent to their takeover. ‘Israel’ exists because groups of extremely powerful people and institutions think Biblical scripture is somehow a valid basis for modern nation-building and international Geo-politics. The ‘Islamic State’ of Iraq and the Levant exists because extremely powerful people and institutions, have supported and funded gang-members, criminals, mercenaries, jihadists and terrorists as a somehow fair basis for mass murder. Geo-political Zionism; specifically how right-wing (and mostly American) Christian Zionism is obsessed with ‘End Times’ fever and ‘the Rapture’ (completely ignoring the fact that the Book of Revelations had nothing to do with events two-thousands years in the future, but was a commentary on contemporary 1st century affairs in the Jewish/Roman world). This obsession may have somewhat informed the Neo-Con obsession with Biblical ‘Babylon’ (modern Iraq), but is also one of the chief reasons Israel is regarded as inviolable and beyond reproach: not because it is ‘the only democracy in the Middle East’ as we’re repeatedly told, but because it fulfills Jewish religious expectations and simultaneously plays into Christian end-times expectations too. In a horrendously perverse way, the criminal, terrorist enterprise that is ‘Islamic State of Iraq and the Levant’ may be argued to have about as much ‘legitimacy’ as the State of Israel does: bear in mind that we’re looking at Israel right now as an established nation that has existed for some 70 years or so, but if we look at some of the turmoil, outcry and ‘birth pains’ that surrounded the original imposition of the Israeli state in Palestine in the early twentieth century, I tend to wonder if 70 years from now the fake, misguided ‘state’ that the psychopathic jihadists are illegally carving out in Syria Iraq, and North Africa, will be an established, ‘protected’ state too; on future maps, right next to the imposed ‘Jewish homeland’ in former Palestine will we be looking at an imposed ‘Islamic homeland’ in what was formerly a multi-cultural Syria and Iraq and North Africa? One thing I know, is that most of the people guiding and determining the Geo-political fabric of the world today, should be locked up in mental institutions. As the Saudi-led coalition continues to drop bombs on Houthi targets in Yemen, involving outside forces and interests once again in a Middle Eastern civil war, there are several points and questions that emerge from behind the narrative of ‘Operation Decisive Storm’. Yes, this is a proxy war led covertly by the USA, involving publicly the Saudi-aligned powers. Within just the first few hours of these current Saudi-led attacks in Yemen, the raids hit positions in the country’s capital Sana’a and reportedly flattened a number of homes near the international airport — killing at least 18 civilians and wounding 24 others, according to Yemen’s Health Ministry. Saudi-owned ‘al-Arabiya News’ reported that the kingdom had deployed 100 fighter jets, 150,000 soldiers and other navy units in what is being called ‘Operation Decisive Storm’. Just days before the Saudi bombing operations began, U.S. officials confirmed Washington had evacuated its remaining personnel from Yemen, including about 100 special operations forces, because of ‘deteriorating security’. This withdrawal marked a further reversal in America’s longstanding operations against al-Qaeda in Yemen, which just recently President Obama had been rather oddly declaring a great success. But then those kinds of grand statements utterly divorced from reality are to be expected; we could all laugh at George W. Bush’s statement about the great “success” of the Iraq War or Obama’s congratulations to Libyans for their ‘great victory for democracy’ in the 2011 ‘uprising’, were it not for the fact that none of of is funny. Most extraordinary of all, The Washington Post reported on 17 March 2015, that the Pentagon had ‘lost sight of’ some 500 million dollars worth in ‘counter-terrorism aid’ given to Yemen. That’s quite a big thing to have ‘lost sight of’. Those with reasonably-functioning memories will recall how reminiscent this might be of DAASH/ISIS/ISIL’s appropriation of millions of dollars’ worth of American military hardware at the outset of their invasion of Iraq last summer – something that the U.S. appeared to do nothing to prevent. Again, let’s just process this information: “the Pentagon is unable to account for more than million in U.S. military aid given to Yemen.” This means essentially military equipment and offensive weaponry, among other things. Where has all of that stuff gone? Is, in fact, all of this missing U.S. military aid due to end up in the hands of al-Qaeda, just as that vast amount of U.S. military property ended up in the hands of DAASH/ISIS/ISIL last summer? And is this Saudi-led campaign in the process of essentially strengthening al-Qaeda in Yemen? After years of deep involvement in the country (under the auspices of a prolonged ‘counter terrorism’ programme), the U.S. decided to withdraw its personnel from Yemen just days before the Saudi-led attacks begun. So again, is Yemen being handed to al-Qaeda on a plate just as Iraq was handed to DAASH/ISIS/ISIL (which, as it happens, was beloved by numerous analysts to in fact simply *be* ‘al-Qaeda in Iraq’ anyway with just a simple name-change)? Is the Saudi-led coalition now bombing Yemen in order to protect Saudi Arabia’s and America’s al-Qaeda asset in the region? In fact, a more accurate description than ‘protecting’ al-Qaeda might be ‘saving’ al-Qaeda in Yemen. al-Qaeda in the Arabian Peninsula (AQAP) is held to be the most active remaining strain of the extremist network; where al-Qaeda has been in decline elsewhere and DAASH/ISIS/ISIL has been in ascendancy as the dominant new ‘brand’ of militant Islamism, Yemen and AQAP has remained the al-Qaeda brand’s key stronghold. And in addition to al-Qaeda, DAASH/ISIS/ISIL also has a presence in Yemen now, which has been established since December and which complicates the scenario even further, making it even more dangerous a situation. You might recall that, among other things, the recent Charlie Hebdo attack was claimed to have been carried out by the Yemeni AQAP, with also one of the Kouachi brothers having allegedly cited Anwar al-Awlaki as a personal mentor. Anwar al-Awlaki, killed in a US drone-strike in Yemen in 2011, was the famous ‘American’ al-Qaeda operative, known to have been a CIA asset and known also to have dined at the White House. Let’s look at this situation in Yemen properly; the Houthi (named) ‘rebels’, are engaged in campaign against al-Qaeda in Yemen. The recent Houthi siege of the presidential palace, which was a precursor to Saudi intervention in the country, was predicted by analysts to be a move foreshadowing an even more important showdown set to play out 74 miles east of the capital Sanaa, and in the al-Qaeda stronghold of Mareb, where the bulk of the country’s gas reserves are concentrated. Two things immediately become clear when we observe what’s now happening; (1) the Saudi-led assaults on the Houthi rebels will vastly diminish the Houthis’ ability to combat al-Qaeda or to decisively push al-Qaeda out of the picture (as was reportedly on the verge of happening), and (2) that missing million dollars’ worth of US military aid may be finding its way to al-Qaeda in the Arabian Peninsula and allowing al-Qaeda to launch a major offensive against the Houthis at some time in the near future and make itself dominant in the country. These attacks are also attacks targeted at the enemies of Al-Qaeda in Yemen; and this coinciding with the Jar Jar Binks style ‘loss’ of million worth of American ‘military aid’ that is going to end up in the hands of al-Qaeda. If I was a betting type, I’d put my shekels on AQ being the beneficiaries of that whopping big whoopsy. And if you think the idea of the U.S. and its allies militarily intervening to defend al-Qaeda is dubious, just cast your mind back to the farce (sorry, I mean ‘intervention’; no, sorry, I mean War Crime) in Libya in 2011, where NATO forces destroyed Libya’s infrastructure, destroyed the GREAT JAMAHIRIYA form of Direct Democracy in the once sovereign country, and essentially provided air-support for the al-Qaeda takeover of Libyan cities and territories: don’t be naive about any of that – that al-Qaeda takeover of Libyan towns and cities was *planned* and abetted by NATO. The fact that just in the last couple of days it has emerged that al-Qaeda has managed to break out an unspecified number of its members from a Yemeni prison (under the chaotic conditions caused by the Saudi air-strikes) clearly demonstrates the level of danger in Yemen while these Saudi-led attacks are going on: those with good memories might recall that incidents very similar to this occurred in Libya in the early days of the 2011 uprising, where there were orchestrated jail-breaks of al-Qaeda and other terrorist prisoners that the ‘GREAT JAMAHIRIYA’ had behind bars. But there’s still more to this situation now in Yemen. A story on RT’s website reports that the Houthi ‘rebels’ had just obtained secret Yemeni intelligence documents with details about US-backed counter-terrorism operations, including the names and locations of informants, this being originally reported in the Los Angeles Times which cited American officials as the source. The documents were apparently stolen when Houthi fighters took over the office of Yemen’s National Security Bureau in the country’s capital Sanaa, which was closely cooperating with the CIA on various ‘anti-terror missions’. The compromised files reportedly influenced President Obama’s decision to evacuate remaining US personnel from Yemen last weekend, including the 1,000 special operations forces. The evacuation from Yemen of course seriously undermines America’s operations (pro-reportedly) ‘against’ al-Qaeda in the region and might even be perceived as quitting the job; this being after years of repetitive drone-strikes and targeted assassinations that have effectively turned the civilian population against the U.S. and its allies due to the various instances of civilian casualties and ‘collateral damage’. The Houthi are enemies of al-Qaeda, and are engaged in a campaign to destroy al-Qaeda in Yemen. al-Qaeda receives significant funding from within Saudi Arabia, which happens to be one of America’s and the West’s closest allies. Iran, like Syria and like pre-invasion Iraq, has never attacked America, or orchestrated terrorist activity against it. Yet Iran is labelled the ‘rogue state’ or ‘terrorist state’, the Saudis and Gulf States are permanently supported, and the Saudis with U.S. backing are now directly attacking the Houthi. Does that make any moral sense? By any logic, that is an utterly insane policy and it pretty much invited the kind of horrific backlash in Yemen as we’ve since seen in Iraq, Syria, the Ukraine, and in Libya. This now becomes the fourth simultaneous civil war going on in the region along with Syria, Iraq and Libya, with also Egypt arguably already sliding towards its own internal sectarian crisis. A better reading of the situation, however, would be view to all of these crises as facets of the same broader ‘civil war’ arguably occurring as a result of ‘Wahhabi’ and ‘Zionist’ interactions and aspirations . We’ve already seen how much spillover from the ‘intervention’ in Libya impacted life in Syria and how much spillover from the Syria conflict carried into Iraq, for example; the fighting in Yemen could easily spill over into neighbouring countries including Saudi Arabia itself, which could even eventually threaten Islam’s Holy Cities. The unfettered, loose canon that is ‘DAASH’ would also have the potential to involve itself in these conflicts and make matters even worse. That is a key point to bear in mind here: while the main party to benefit from the Saudi-led assaults in Yemen is al-Qaeda, one of the main parties to benefit from all of this chaos and sectarian fighting in general is ‘DAASH’, which can *thrive* in these kinds of environments, just has it has thrived in Iraq and Syria. These Proxy Wars have become an absolute catastrophe. One might ask, who are the Saudis ? The Saudis and the Gulf States are openly backing radical-WAHHABI elements fighting to overthrow the Syrian government. The Saudi, the Gulf States, Israel, the U.S, NATO, etc., have been arming and aiding proxy militias and terrorists. Yemen now faces a major humanitarian problem. Yemen is a dismally poor country; the poorest in fact in the Middle East, despite its apparent richness in natural resources. Those resources are almost certainly a factor in the chaos sweeping the country. It also becomes increasingly difficult to look at these situations – in Yemen, in Syria, in Iraq, and Libya. We see the actualization of the famous Albert Pike prediction concerning the Third World War, which would be brought about by deliberate agitation of the Zionists and the Wahhabi-world. Some refute the legitimacy of the influential Freemasons spoken-of in Albert Pike’s letter, considered by some to be a forgery; but real or not, it seems to very neatly foresee what would come to pass over the course of three global conflicts, two of which have already occurred. The list of illogical, contradictory policies and actions goes on and on. Which either suggests an extraordinary level of incompetence or it suggests an orchestrated agenda. 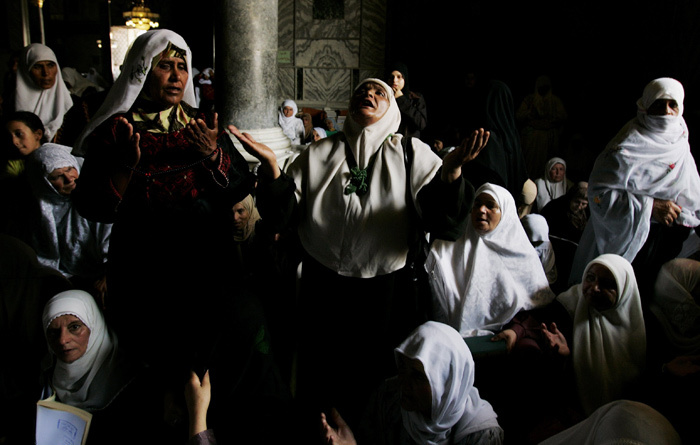 It’s clear that a sectarian conflict was orchestrated in Iraq and probably in Syria too. Yemen looks as if it is being used in the same way. The U.S.A. serves to keep the region and the societies in a continual state of destabilisation, inviting continual foreign intervention and involvement and ensuring that those societies don’t have the means to prosper, to build or to control their own resources: any such society that takes control of its own destiny and attains anything approaching self-sufficiency is sabotaged from the outside and put back into a state of dependency – thus the ‘intervention’ in Libya and the proxy war in Syria. “The Middle East is the center of the third global conflict they want to create; what they’re doing is creating the circumstances in the Middle East to create this conflict.” One can hardly observe the crises continuously unfolding in the region now and see anything other than this prediction being played out. The headquarters of Islamic terrorism is London, England, where the Anglo-American Establishment sponsors the radical “’Muslim’ Brotherhood” in order to advance its long-term goal of plutocratic global dictatorship. These globalists have fabricated a bogus “war on terror” to crush the remaining vestiges of nationalism and democracy in both Muslim countries and the West. Expect more incitements like the current “Miss World ” imbroglio to convince both sides the other endangers its way of life. The ‘Muslim’ Brotherhood has been used to check nationalist movements led by such figures as Nasser, Bhutto and Khomeini in Iran, who tried to develop their countries. “radical Islam would have remained the illegitimate, repressive minority movement that it has always been, and the Middle East would have remained stable and prosperous,” Goodgame says. “The real ‘Muslim’ Brothers are … the secretive bankers and financiers who stand behind the curtain, the members of the old Arab, Turkish, or Persian families whose genealogy places them in the oligarchic elite, with smooth business and intelligence associations to the European black nobility and, especially, to the British oligarchy. By fabricating a bogus war between Islamic fundamentalism and the West, the globalists are able to attack their real enemy, humanity. Pulling the strings, they will ensure that both Western and Muslim states are degraded and finally completely subjugated to their odious rule. The globalists have long been using wars to subvert, demoralize and destroy Western civilization. They backed the Nazis and the Soviets in World War Two. They created the Punch and Judy show that was the Cold War. Also called the Illuminati, they represent a recrudescence of the alliance of Rothschild finance and European aristocracy secretly coordinated by a Satanic dogma hidden in freemasonry. They plan a new feudalism that will impoverish the middle classes, depopulate and enslave the masses, and leave only the rich served by a technocracy. The whole world will resemble a repressive third world country governed by the IMF, UN and World Bank. The globalists are headquartered in London and centered on the Rothschild-dominated Bank of England, MI-6 and the secretive Round Table society, which spawned the Royal Institute of International Affairs. The American branches include the Council on Foreign Relations, CIA and the Rockefeller foundations which all ensure the American people continue to finance and enforce one-world tyranny. The Bush family has owed its prominence to this cabal ever since grandfather Prescott Bush helped arrange financing for Nazism. The Palestinian terrorist “Hamas” movement is a product of the Muslim Brotherhood. According to Labeviere, it serves the interests of the Israeli right wing, and has received secret financial support from the Israeli “Shin Beth.” (203-205). Thus, Palestinian suicide bombers play straight into Ariel Sharon’s hand. Meanwhile, back in the USA, “Muslim terrorist attacks” are an excuse to lay the foundations of a police state. These attacks, which could become nuclear or biological, might serve as a pretext to declare martial law, suspend elections and round up dissidents, i.e. anyone who is not buying the lie. This may seem incomprehensible to Americans now when the economy is still being propped up. Once the U.S. has done the globalist’s dirty work, interest rates could rise and debt ridden Americans could be stripped of their assets, as they were in the Depression. The Homeland Security Act is designed to control all U.S. law enforcement agencies so that elements in the CIA and Mossad can target Americans with impunity, like they did on 11 Sept. 2001. American agencies were designed to remain independent so they could serve as a check on each other. The Act is also designed to allow George W. to place his henchmen in positions of control. Remember, he is a product of a secret Satanic cult, the “Skull and Bones.” This sounds gruesome but the Twentieth Century provided many precedents. The Illuminati was behind both Nazi and Communist mass slaughter and terror. Our position is akin to the European Jews who disbelieved warnings of the holocaust. There is even a provision in the Homeland Security Act against whistle blowers. Why? Another provision allows mandatory vaccinations while giving vaccine manufacturers immunity from prosecution. Why? The “Total Information Awareness” program will “red flag” troublemakers by monitoring all personal communications and financial transactions, even your library records. You didn’t attack the WTC. Why are you targeted? What is the justification for this destruction of freedom, which Bush supposedly protects? In 14 months since 11 Sept.2001, there has been not one Muslim terrorist attack in the US despite the bloody American invasion of Afghanistan. If “al-Qaeda” were capable of pulling off 11 Sept. 2001, don’t you think it would have planned an encore? In conclusion, mankind is in the clutches of a diabolical multi generational conspiracy. A Satanic, criminal cartel has subverted all social institutions and is slowly crafting a brutal global dictatorship. Our political and cultural leaders are witting and unwitting pawns. They are fabricating a phony war between Islam and the West in order to accomplish the degradation of both. 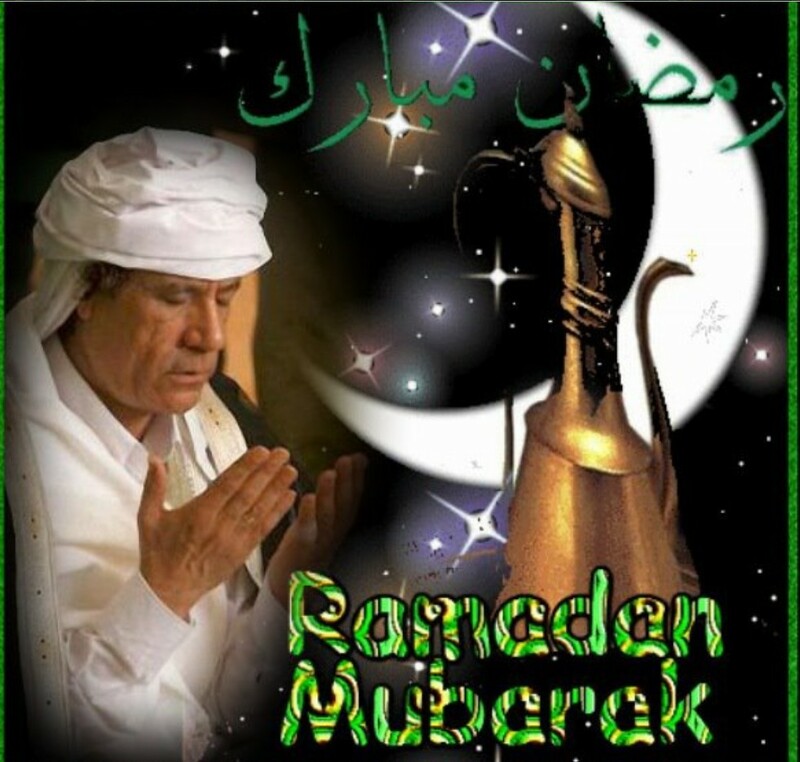 Salute to all the supporters of the green flag ..
ahak leader leader Muammar al-Qathafi …. Yes you missed us, we are now no longer in the past, as has everything changed for us, from: the biggest things even the smallest. and once we had a parking Ahtqrna people, and respected people and we know the people have increased our confidence in ourselves and increased our love you …. This week when the Obama Administration announced it had evacuated its personnel from its embassy in Tripoli, it brought back memories of Saigon….Political boundaries that ignore existing peoples and their cultural realities usually fail. Similar to Vietnam, the Obama Administration’s and Kerry’s political thinking and military strategy towards Libya had revealed a geographical ignorance and projection. Geographical ignorance is being unaware of a nation’s political, economic, social, and religious complexities, let alone its physical landscape. Geographical projectionists attempt to impose their ethnocentric beliefs, a conviction that one’s own group and culture is superior to others. It is a dangerous ideology, overly simplistic and naive. To perceive others and their environments as similar to one’s own-whether it be politics or economics, religions or cultures, histories or traditions, even spatial or physical-leads to disastrous policies. As the U.S. discovered in Vietnam and now Libya, human desires and aspirations vary around the world. Geography is always the determining factor. In Libya, neither did America’s political elites and military strategists recognize ongoing changes in the GREAT JAMAHIRIYA. Mu’ammar al-Qathafi signed a number of treaties to forgo both weapons of mass destruction and the development of nuclear arms, al-Qathafi formed closer ties with Italy and the European Union. He also totally denounced terrorism. Human rights could not be greater than in his Universal Green Charter of human Rights (12 June 1988). 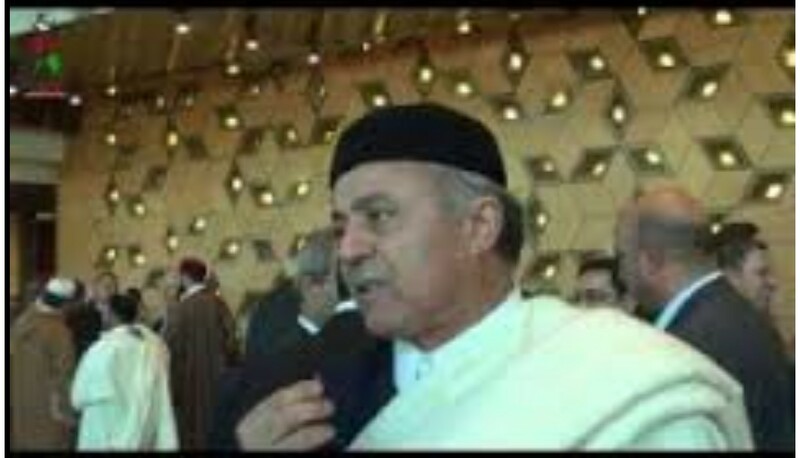 Mu’ammar al-Qathafi personally tore down prisons, and completely eliminated poverty and homelessness in the Libyan Great Jamahiriya; and, he financed innumerous outreaches throughout the globe in education and welfare. Mu’ammar al-Qathafi apologized to African leaders on behalf of Arab nations for their involvement in the African slave trade, something the U.S. has not yet done. Still, it was not enough for Washington’s lame empty headed-projectionists and those who wallow in geographic ignorance. Despite these facts, wishful ‘regime change’ thinking ruled in their tunnel-vision brains. Was it geographical projection that caused the U.S. to assist extreme militant factions, like al Qaeda and ISIS, in overthrowing Gaddafi? Or was it geographical ignorance, of not being able to grasp the importance of a stable system. The result has been costly, as rogue militias and bloody ‘coups’ (as in the Brotherhood Omar al-Hassi ‘government of Salvation’ in TRIPOLI) continue to kill thousands of Libyans (calling themselves ‘Dawn Libya’, then ‘Sunrise Libya’)…. U.S.-NATO geographical projectionists are merely stoking the flames by pursuing their own interests and in sending military personnel and weaponry. Like Vietnam, Libya will resist any outside state or global power that tries to impose its own brand of politics and economics. The U.S. was unprepared in ridding Libya of ‘The Great Jamahiriya’ and al-Qathafi. More so, it was geographically illiterate. al-Qathafi had gained a broad base of support by distributing Libyan oil wealth and improving the nation’s standard of living, which explains ongoing hostilities among his supporters…and Libya is no longer a wealthy nation (as it was). 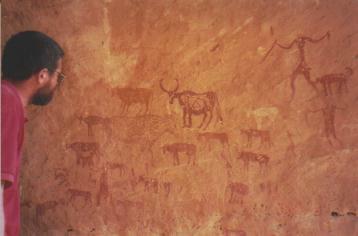 Heavily dependent on oil and a superimposed global market, it has tried to diversify its economy with tourism and some mineral exploitation. By NATO destroying all the infrastructure, and halting inovative industries and constructions in the making, as the progress of the ‘GMMR project’ (which still had at least two more stages to completion), Libya will suffer again from severe water shortages. Libya is primarily desert. It will continue to endure bouts of food scarcity while battling rising costs in imported foodstuffs, as prior the the GMMR Project. Toppling the ‘Great Jamahiriya’ societal (direct democracy) infrastructures, made Libya into another spidery maze. A blood stained nexus of armed extremists, religious and corporate fanatics, and internationalist projectionists. Geographical projection is always a mental map, an innate way of thinking about the world, and of processing human and physical landscapes. Seldom does it resolve tensions. More often than not it incites conflicts and wars. Washington, DC has a geographical perception of its own, albeit an extremely disconnected one. Its isolated and disconnected geographical projection can be compelling and intoxicating, especially when it is done through military and economic expansionist incentives. But such incentives always have a price for all involved. Did the U.S. ever learn this in Vietnam? Has the U.S. learned it in Libya? As heavy fighting rages across Libya, and as warring militants amass along Egypt’s borders, those in the U.S. responsible for Libya’s coup are missing in action. Even a former secretary of state, who is out promoting a new book, is planning on running for president, and shares liability in the Beghazi attacks, laughed when she (pretended) to hear of al-Qathafi (false) pre-planned’death’. She exclaimed, “We came, we saw, he died. Meanwhile, Libya’s rising fuel prices and ongoing violence points to an unpredictable future. Is the U.S.’s Vietnam Syndrome, its geographical ignorance and projection, now haunting Libya, as it is haunting other nations in the region. If so, it is a syndrome that will continue to sacrifice people and nations…. 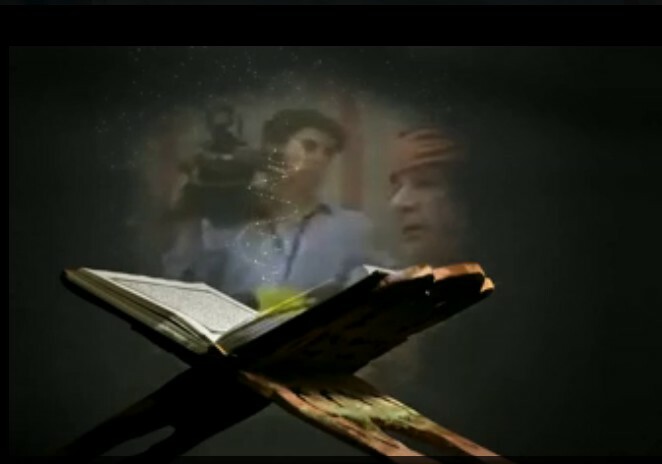 The first reports of al-Qathafi‘s death being a hoax were published in the Egyptian newspaper ‘al-Masri al-Yawm’, on the very evening of his ‘proported-death’ on 20 OCTOBER 2011. Iranian news reports say that the Libyan leader Muammar al-Qathafi is not dead, and is in fact very much living. The story also announces that the videos which claim to be ‘showing his last moments before his death’ were definitely faked. al-Qathafi himself sent a telephone short-message on Friday (21 October 2011) puzzled at the news reports and really quite angry ! Many other messages by Mu’ammar al-Qathafi, have since been made public. He is reportedly still leading a resistance movement in Libya (‘People’s Liberation Front’ /PLF) which also assists the many ‘needy’ now found within and without Libya. (al-Qathafi‘s soccer-playing son, Major-General al-SAADI, has stated emphaticly, that his father is NOTdead.) Listen to the numerous ‘You-tube’ recordings, and published letters, as well. ‘Ahmed Howitzer blood’ especially with regard to ‘glorifying the Great Jamahiriya’ Asthenth and the sacrifices that have been made in the revolution of February 17, and he was accused of treason by the Omar al-Hassi regime. Political experience and that produced the legitimate objects in Libya. And thus based on a critical juncture, which passes by the home. And the difference without the presence of another opinion, raises some question marks. Of channels is not consistent often with National Forces Alliance Policy, Which many refuse to believe on the basis that some of the owners of the channel are Members of the RAT National Forces Alliance. THANK YOU AHMED, for speaking-out bravely ! ‘ZINTAN BRIGADE QaQaa’ comments on what is happening ! But like geese lame !! Dear Zalin for information because the troops did not attack everything that happens absorption (bodies everywhere) and dream Wattaya weather Atlasha. During the three lightning strikes only been Abtaa ‘Roma Libya’ in Kikla. Wayne arms ammunition: Where Where Where vagrants Qatar, where Misurata Wayne Wayne ?? And all knew one Baamr of the General Command of the Army, we are in the heart of Gehurkm because everyone knows we are in front of your doors. Helicopters and fighter did not enter into force until the battle begins because our young did not understand. The next Edhi and ordered Aajuj era. Tunisian government cancel the tax for each tax departing foreigners and non-residents in Tunisia. Science that Friday Market residents of Tripoli. Allah… that we shall return to him. RATS Security Directorate within their ‘security plan’ to ‘secure’ the city. Animated led Rat happy Qugel in OS area near Baghdadi Street. Voices clashes and shootings in the area around the MITIGUA base. 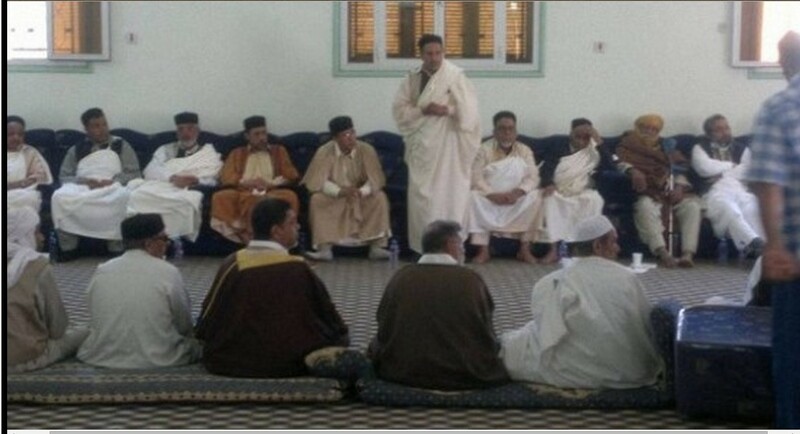 Delegation headed by the Casablanca based Minister of Interior, “Omar al-Sanka” on a visit to the city of Zintan and al-Rajaban and surrounding areas this day and met inside the city of Zintan to discuss the latest security situation in the western region. 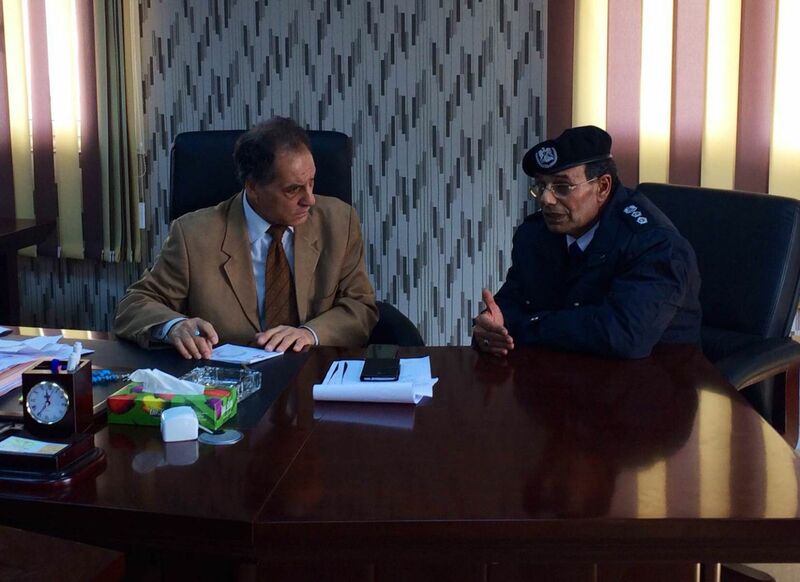 picture: CASABLANCA Security Directorate Omar al-Sanka spoke with Manager Colonel Directorate security locked Abu Zahra. Central Committee of the epiphyseal tribes, announces that it lifts the lid on the social bandits, and those who work banditry on private or public property, of the sons of the tribe. This came through the prism of his part, and the Central Committee of the National Directorate of Security in Mizdah, during the past few days. Committee called, the police and the national army to carry out their duties and activate the law to achieve justice and punish all those found guilty of such crimes to establish security. we controlled Asudrh Tihana pilot Allahu Akbar Khvena WATTAYA. The same lying al-Musa MISURATI !! of the triangle at Ajeelat of our Champions. Om Hoichh area south of the city of Ajeelat. and identifying M Aziz WAM Hbeish and lock all roads. ‘CAMP MAJER’ outside of ZLITEN, prior bombed by Libyan Airforce, now DAASH tookover from ‘Roma Libya’. DAASH now control ‘camp Majer’, after the expulsion of ‘Roma Libya’ militias. Daash terrorist organization gave the residents of the town, Nofaliya al-Asttabp, threatened fails to date that he would be subject to legal accountability. Who’s with heroes in front of Sidra. Guard Oil Installations and Brotherhood terrorist militias ‘Sunrise’. and all that with the blessing of Misurata and Belhadj and el-Mahdi al-Haratine (Akkla Giani GNEOH) and receivers of arms and ammunition across Mwaném and Mtarathm ..
and we do not exist, but we have two choices: either to win or die. Sporadic clashes continue in front of Ben Jawad today. And alert all units fighter. Brig Muhammad Mnfor exiled ordered Fighter Squadron in the central region denies the fall of one of its planes in Bin Jawad area. 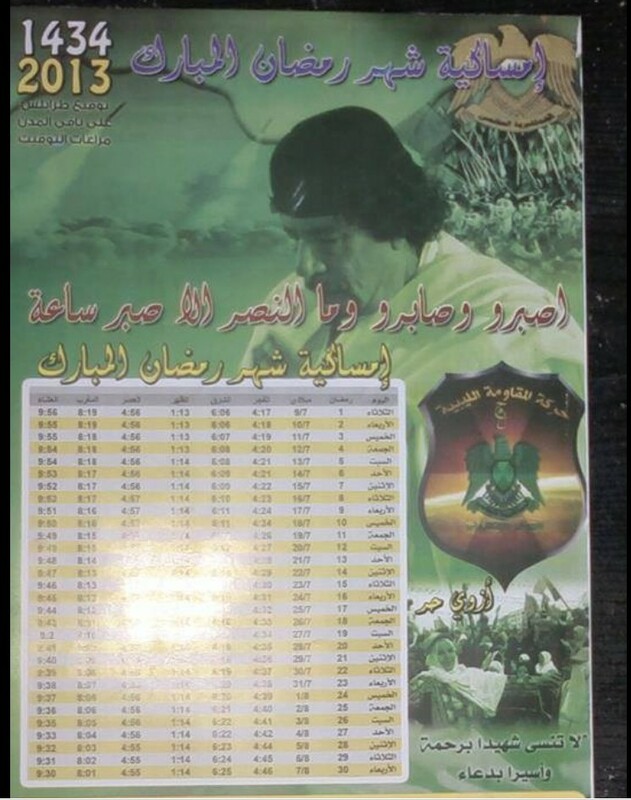 Each Maihaky in the pages of Misurata just rumors. There was no information on the subject so far. About the image deployed in Misurata pages on the projection plane of the Army This video link in Syria .. ai-Vascl ai-Vascl Duro Ali Tkzbo Post the news to expose the ‘rebels al-Nivia’:Shoot down a helicopter in the countryside west of Aleppo Information Office of the Nur al-Din al-Zanki 27/11/2012 helicopter was shot down in the countryside west of Aleppo, Sheikh Suleiman over the artillery regiment of 111 near the mountain town of two domes. 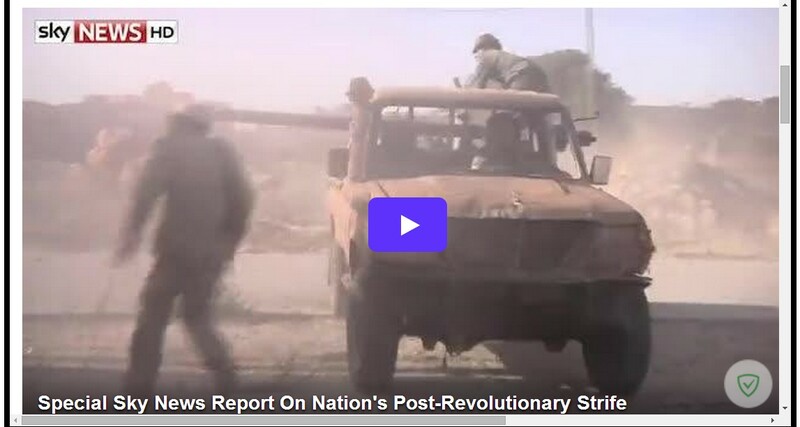 SEE, IT IS OLD FOOTAGE: and ONCE AGAIN MISURATA PROVE TO BE LIARS !! Jaybeala image explosive pilot of foreign film and told you Valsdrh. The problem with them Majaboh director pleasures of the film. and Astahe-dovem-stoda aircraft with targeting and destroying two tanks, in direct hits at Bin Jawad. The right word to anyone who tries to manipulate the armyand the distinction between a group and not another. Equipment for the battle after the clashes that took place this morning between the ‘Oil GUARD installations’, and RAT Brotherhood militia forces ‘Sunrise’. Which resulted in five wounded troops of the Rats ‘Sunrise’. 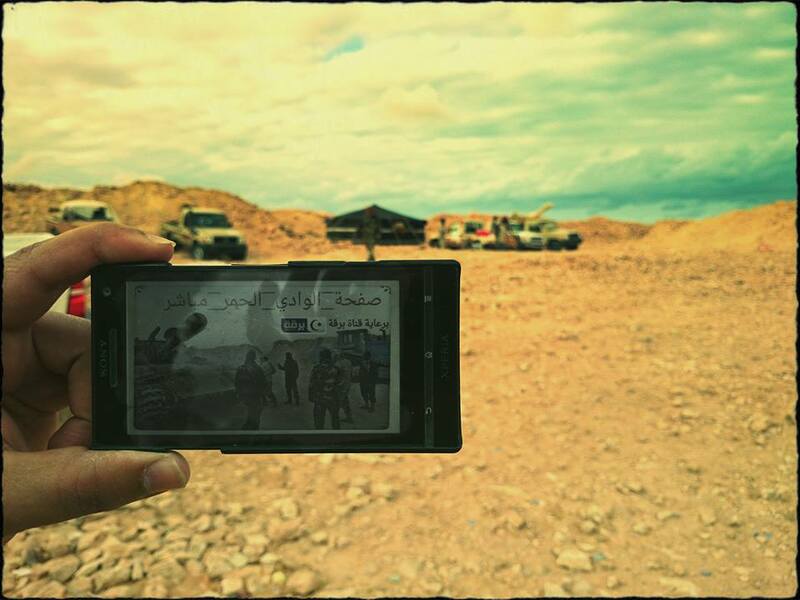 Tnazm Islamic state of Daash published pictures Bazzi penalty Orange said it was for Egyptian Copts hostages kidnapped in what they call Amarh sart. Was captured by rats and spent time in prison and when he came out he went to his hometown of Benghazi beloved. It was the most people hate rats and the Nakba, which divided the country. He was friendly with me grace period in Nzouha to Benghazi. Oh God, it was improved Zdh charity albeit offensive, skip all the disadvantages Oh God, make the grave of the gardens of paradise God inspired his beautiful patience and Douai and solace and accepted by God bestow mercy and forgiveness. headquarters of Passports and Nationality in Sabha-jnobi. Solomon Boys militia fire on two women Tbawitin local market area in SABHA. Greetings,We’ve covered a lot of distance since you last heard from us. We crossed into Libya at Ras Ajdir. Border formalities took a couple of hours and we bush camped on the Mediterranean near the town of Zuwarah. Before we crossed the border, we celebrated Max’s 73rd birthday with a fruitcake Kienny had baked for the occasion. On Thursday we asked about the price of fuel and were told that diesel was cheaper than water! At0.04€ per litre, it cost 7.95€ to fill our 180L fuel tank!! 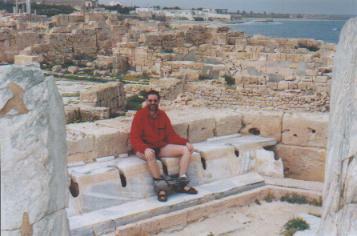 After gleefully paying for the fuel, we visited the Roman ruins at Sabratah, on the coast about 100Km west of Tripoli. The ruins are claimed by some to be the “most beautiful in the world”. The town was founded by the Phoenicians as a port and is the source of some of the best known mosaics in the world. We spent several hours walking through the amphitheater, admiring the artistry of the Herculean Temple, and puzzling the plumbing of the Oceanus Baths and the public Latrines! The city was destroyed in 647AD. We missed going to the museum as it was closed for the Feast of Abraham – the day the Muslims celebrate the day Abraham sacrificed the lamb provided by God in place of his son.We bypassed Tripoli and camped off the road that night just before Leptis Magna [according to the GPS, at 32 degrees, 41 minutes N and 14 degrees, 5 minutes E] amongst some pine trees. It was a delightful spot with ample firewood. During the night we had a very light shower, the first rain since leaving Australia. It’s hard to escape feeling at home as many of the roads are lined with eucalyptus trees. We have also seen a number of plantations of eucalyptus trees as well as a lot of wattle trees in blossom. We’ve seen these Australian trees in all the countries we’ve travelled through.Yesterday we spent most of the day exploring the expansive ruins of Leptis Magna. One of the beauties of Libya is the lack of tourists and therefore the lack of restrictions in such places as Leptis Magna. We had the freedom to explore the ruins to our hearts contents. 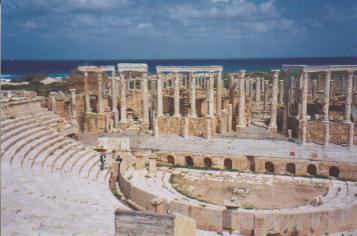 The ancient town of Leptis Magna was so big, the ruins are so awesome, that it is hard to take it all in. Max and Sheila have visited numerous ruins throughout Europe and reckon the sites we have seen in Libya and Tunisia are far more impressive. 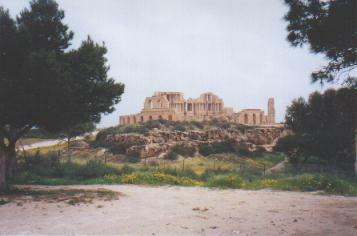 One of the guidebooks says that Leptis Magna is the “best Roman site in the Mediterranean”. The two Roman ruins we’ve seen in Libya are just so impressive they have to be seen to be appreciated. We don’t have the words to describe them. After spending most of the day here, we ended up camping at the same pine tree campsite we stayed at the previous night. The nights in Africa have been cool and the days very pleasant. When we woke up this morning there was not a cloud in the sky, but it was the coldest we’ve had in Africa (8 degrees C) yet the day has turned out to be the warmest we’ve had (low 20’s). 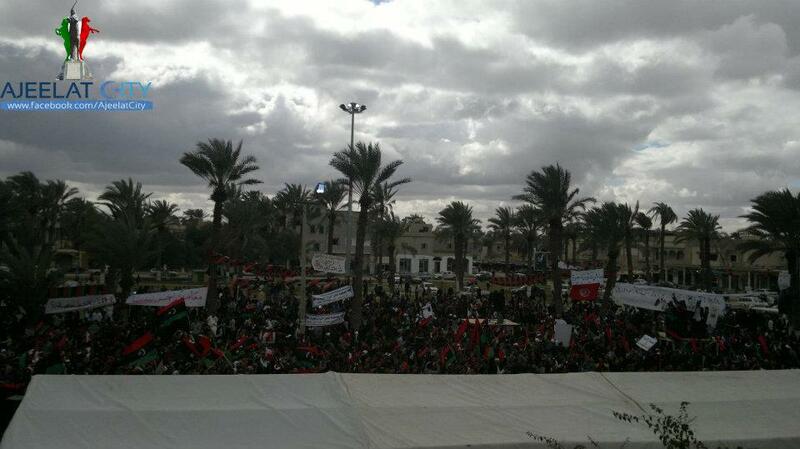 Today Saturday 18 March we arrived in Tripoli, the capital of Libya. As we’ve not had a shower since leaving Tunis, we had no choice but to spend a night in a hotel. We are staying at the Bab El Madinah, on the Mediterranean in the centre of town within walking distance from the old fort and markets. In the past, hotels in Libya have been very expensive. However, since the currency has been devalued, prices are now very reasonable. It cost us 17.68€ for a double room overlooking the Mediterranean with secure parking. We changed money on the black market before entering Libya, but found the official rate at the banks in Tripoli to be similar [1.9 Libyan dinar to 1 US$]. We have found the prices in Libya and Tunisia to be very cheap, especially compared to European prices.We are sending this email from an Internet cafe in Tripoli. It is very large and has in the order of two dozen computers in a modern office. It cost only2.21€ per hour. In Tunis and Marseille it was difficult to type because the keyboards were not in English, where as here in Tripoli the keyboards are in English. We are constantly amazed by the number of Africans using the Internet.Despite its reputation, Libya is an extremely safe place. In the four days we’ve been here, we have only seen guns twice — one soldier at the entrance of an army base and two policemen at the entrance to a museum. We saw far more guns in Italy and Tunisia than we have seen here. The locals have been extremely friendly and many of them speak very good English. Everyone we’ve met has been very keen for foreigners to realise that Libya is a safe and beautiful country to visit — which is certainly our experience. All the officials we’ve met have also been friendly and courteous. About the only criticism we have of the country is that it needs an anti-litter campaign. After leaving Tripoli, we headed southwest to Ghadames via Yfren and Nalut along a good bitumen highway. About 100 km out of Tripoli, the highway climbed to the top of a mountain range that extends from the coast just east of Tripoli all the way to Tunisia. On leaving Tripoli, the countryside was green and populated, but eventually gave way to desolate desert country the closer we got to Ghadames. At Nalut we went to the immigration office to have our passports stamped. As the forms were all in Arabic, a local who was in the office renewing his passport invited us into his home for a cup of tea while he filled in the forms for us. This has been typical of the friendship shown to us by the people of Libya. In Ghadames we visited the old town which is now on the World Heritage list. It was fascinating to walk through the narrow alleyways and the multi-storied mud-brick houses. Contained within the wall of the old town were numerous date palms and small farming plots, with plentiful water supplied from the vast artesian basin. It was only recently that everyone was relocated into modern housing surrounding the old town. We spent a couple of days in Ghadames, made all the more delightful by spending time with three local guys who befriended us. We left Ghadames for Ghat along the Algerian border with our permit and compulsory guide. 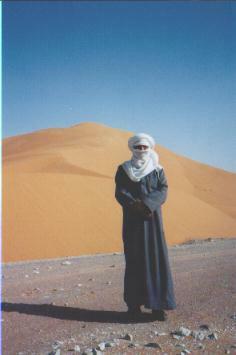 Ali was a Tuareg tribesman who grew up travelling the old trade route with his father back in the camel days. We spent four days covering the 720 km, some of which passed through Algeria. The countryside was diverse. 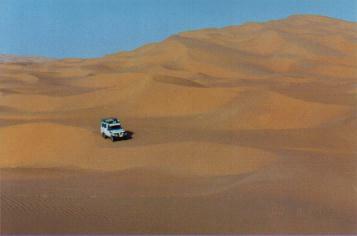 Some areas were flat, while others were undulating plains of gravel or sand. There were several mountain ranges, numerous “wadis” (dry creek beds) that often widened out into plains. But best of all was the sand dune country! 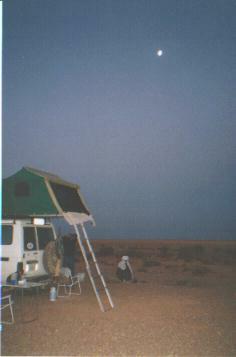 One night we spent camped inside Algeria on top of the tallest sand dune we could find (about 175 metres high). Along the way we saw some rock carvings, a salt lake, a small oasis lined with palm trees that is being overtaken by a large sand dune, a large petrified tree, and a number of Algerian oil fields clearly visible from the Libyan side of the border.We reached the bitumen again just before Ghat where we spent two nights in a campground where we were able to enjoy hot showers and restaurant meals within sight of the Akakus mountain escarpment. The day before we arrived in Ghat, we had broken the main front leaf spring, so our first task was to get this welded. Does the OME (Old Man Emu) heavy duty leaf spring warranty cover two years on African roads? In Ghat we strolled through the old mud-brick town and climbed the hill for a look at the fort the Italians built during the war, stocked up with fresh fruit and vegies, topped up the water and fuel tanks, and got our permit to travel through the World Heritage Akakus mountains. 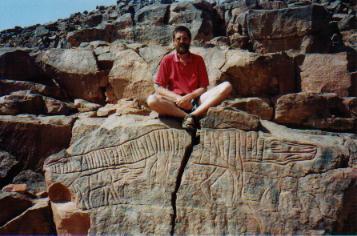 Continuing on with Ali as our compulsory guide, we spent five days winding our way through the ever changing and absolutely stunning scenery of the Akakus mountains, pausing on numerous occasions to look at rock carvings and paintings, some of which are reputed to date back 10,000 years. Words are not enough to describe the beauty of the Akakus region with its sand dunes back-dropped by rugged mountains and bizarre rock formations.It was sad when we set foot back on the bitumen and said goodbye to Ali who had been our guide, friend and companion for the past eleven days. From Serdeles we headed north east to a campground just outside Germa. After having a shower, stocking up with fresh supplies, and lowering the tyre pressure, we headed north into the “sand sea” dune country to visit the picture postcard Dune Lakes. The drive was a real buzz and a lot of fun for the driver (Geoff) but a bit stressful for his passengers! It was all that you imagine of the Sahara. 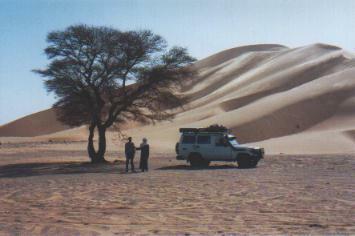 Driving in a Saharan sand sea is very different from driving in Australian deserts. As a whole the sane dunes are much firmer, irregular, taller and vast!We first stopped at the Mandara oasis where we strolled around the lake and enjoyed lunch under the shade of a eucalyptus tree overlooking the lake, fringed by palm treees. As is typical of Africa, where ever people have lived in Libya, you find an abundance of Australian eucalyptus or gum trees. Palm trees look nice, but for firewood and shade, you can’t beat our trees! After lunch we drove to the oasis of Um el Ma, where we camped for the night. This lake is called the “Mother of the Waters”, although we think it would have been better called the “Mother of Flies”! The afternoon sun was very hot, but the view of the lake with the reflection of the palm trees against the setting sun was fabulous. The spring fed lake is 200 metres long and 50 metres at its widest point and is the prettiest of all the lakes. We were tempted to go for a swim, but as the water was salty, we didn’t relish the thought of sleeping with crackly skin. 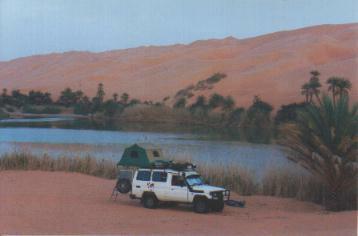 The next day we continued over the sand dunes to the Gabrun oasis, the biggest of the lakes. We had a relaxing afternoon strolling through the old abandoned village and having a snooze under the eucalyptus trees. The village was most interesting, considering the people had moved out only ten years ago. During the day the clouds built up, and as we were sitting down for tea, it began to rain… well, a few drops fell out of the sky. We later heard that Ghat had had two days of rain.On leaving the next morning the temperature skyrocketed, reaching 38 degrees, blown in by strong winds. The drive back to Germa gave us our first taste of a sand storm. The next day, in spite of the heat, we spent the morning driving in air conditioned comfort to Wadi Mathendous. This is a relatively small dry creek bed in the middle of a plain covered with black basalt boulders that is home to a 200 metre long fantastic gallery of 10,000 year old rock carvings. Despite the 41 degree heat, we spent an hour and a half viewing the many engravings before heading back once again to the campground near Germa. We woke the next day to much cooler temperatures and set off for Waw en Namus, some 600 km to the south east. We left the bitumen at Timsah, reduced the tyre pressure and travelled through the Timsah Sands. We then followed a formed dirt road that was so corrugated that we made our own track across the plain. The final 150 km was bush tracks across gravel and sandy plains. This area was the most desolate we have travelled through. 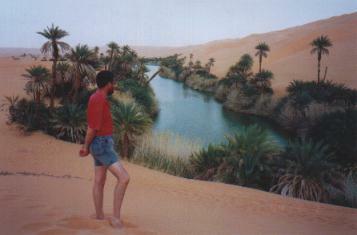 Apart from a few trees in one wadi, we saw no signs of vegetation until we reached the top of the volcanic rim of the Waw en Namus crater and looked down upon three lakes rimmed with tall reeds and palm trees. After driving around the 11 km rim, we had a most enjoyable time exploring the depths of the crater on foot. On the way back we had a most unusual sensation crossing the Timsah Sands. The surface was totally obscured by blowing sand, giving us the feeling of floating in mid air with the engine racing itself, always rising higher as though we were about to take off. Between the end of Troopy’s white bonnet and the grey sky was nothing but the pale yellow colour of the blowing sand. It was only an occasional blade of grass or marker pole that gave any sense of orientation or speed.It was with great sadness that we hit the bitumen and realised that our time in the Sahara was at an end. We drove back to Tripoli via Sebha, Hun and Sirte and camped on the Mediterranean Sea. We have had a fantastic month in Libya. It has met and indeed exceeded our every expectation. The people are so very friendly, the vastness of the desert is awesome, the sand dune country is out of this world, and the country is so safe and secure. It’s unfortunate that Libya has such an undeserved reputation.From here we head back to Tunisia where we have another week before catching the ferry to Sicily and our flight back to Australia. We’re really enjoying travelling with Max and Sheila, and we have all kept well, no doubt in part due to Sheila’s good cooking. It has been a magnificent trip. To get a Libyan visa citizens of most countries require an invite. Whils this sounds daunting it’s actually relatively straight forward. 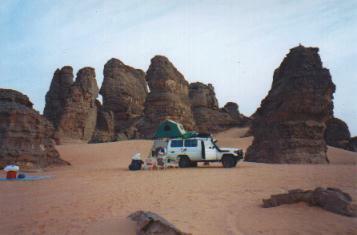 Most tour agents in Libya can do this for you, its just a matter of finding one. The easiest way is to contact Azar Tours using Email or Fax who can arrange the invite for you. They cater for independant travellers and so you are not required to join one of their tours. They charge 88.39€.You’ll also need to get the first page of your passport translated into Arabic. 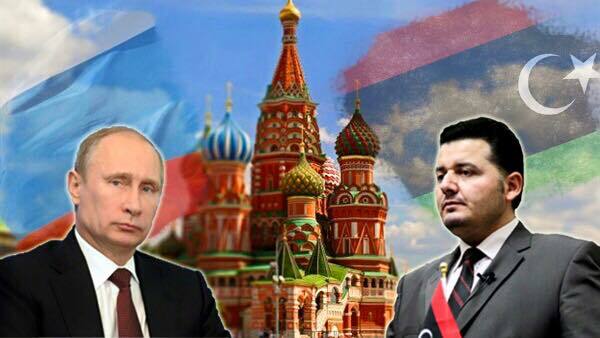 If you are in Europe contact your nearest Libyan Embassy. As we live in Australia we got our passports translated in Australia and had Azar Tours send our invite to the Libyan Consulate in Tunis. On arrival in Tunisia, our Libyan Visa was processed overnight. All very straightforward and with the minimum of fuss. Chris Scott has details on how to get a Libyan Visa in the UK on his Sahara Travel Information WEB page.Taking a vehicle into LibyaIf you do not have a Carnet-du-Passage then a Local Libyan Carnet-du-Passage can be purchased at the border. You will also be required to buy compulsary third party vehicle insurance and rent a set of vehicle registration number plates. Expect to pay around 220.97€ in total. Formalities will probably take around two to three hours. Chris Scott’s “Sahara Overland – A route and planning guide” book is recommended and contains detailed information on overland travel through Libya. If you look closely you’ll even see a few pictures of Troopy. 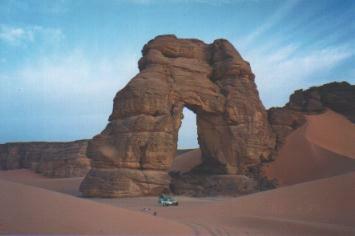 His Sahara Travel Information Web page contains all the latest information to compliment the book. 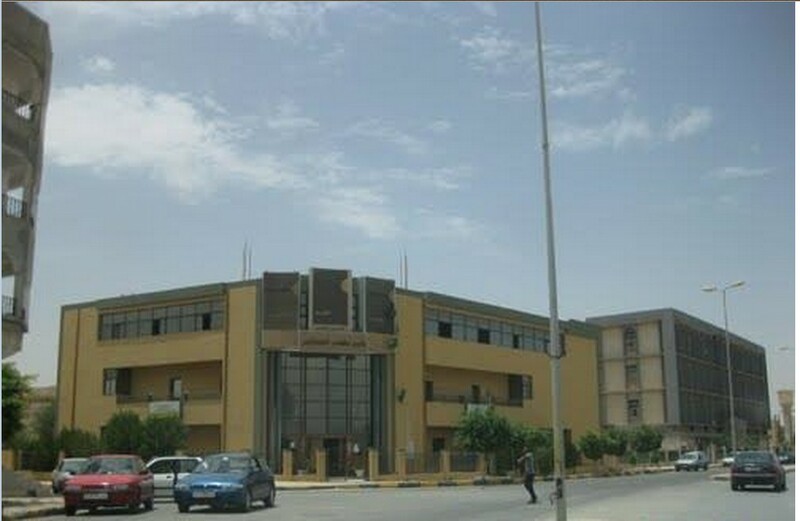 The Libyan Tourist Information and Promotion Board is in the process of setting up a WEB page. If you are after tourist information you can also contact them via Email. The person in charge of the Tourist Information speaks very good English and I’m sure he would be very helpful of you need more information. They also publish a number of good books and excellent posters. I assume that these will all appear on their WEB page when its up and running. RAT Abdul-Rahman Sowahilli is in the Ukraine to bring the shoulder-fired missiles, anti-aircraft,in addition to the five Ukrainian who Astjelbhm and sitting Asaleholh in two experts (Almiq 23) in Mitigua base,and at the same time to conduct dialogue and ceasefire ! !What you want peace but the days you want to time. 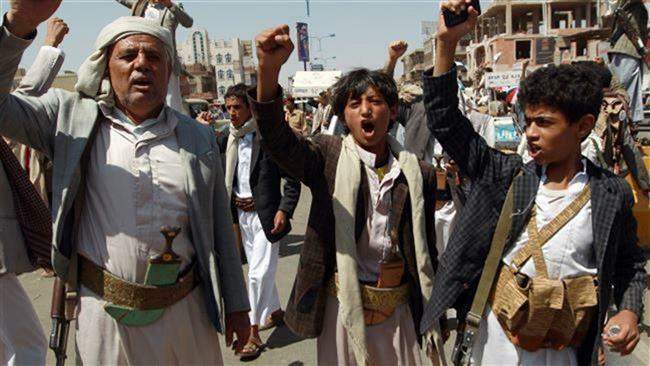 afraid of the good, green and splendid HOUTHI, Embassies and America Britain and France closed in Yemen and withdraw its diplomats and claim their subjects to leave immediately.WHAT THEY REALLY SHOULD FEAR, is the WAHABI BROTHERHOOD (“ANSAR al-SHARIA and al-QAEDA, as in the picture) infesting Yemen, which the Houthi are trying to eliminate. = You face rock deaf day. = Who know the reality of Libya either died in prison or fronts or displaced for this mess delusions Libya and its people as you want. = If they are believers that their dead martyrs in paradise why looking for blood on the pretext that it will not be in vain. and in the concepts of ‘politicians, “out of the back door” means of “the window”. = You face rock deaf day. We believe that Muammar al-Qathafi speaks for himself today. We know that when Muammar al-Qathafi speaks himself, it is meant for the whole of Libya. = Demolition of Bab al-Aziziya was the biggest abuse went to Libya. The place, throughout history, has been associated with the dignity and prestige of the state; before the associated prestige and courage of staying inside. = Talking about repentance Khan Levy after his hearing as Bedouins in the desert listening to someone talking about the fires at sea. = What is happening now is similar to flood the valley, but no matter how devastated the valley of dams, and smashed the houses, they say ‘we do not need him to return to the course where he was and we were’. = All those who sat on the ‘seat of power in Libya in February’ was the supporters of Muammar al-Qathafi bulking them just carry his mantle in his travels, let alone carry a country like Libya. 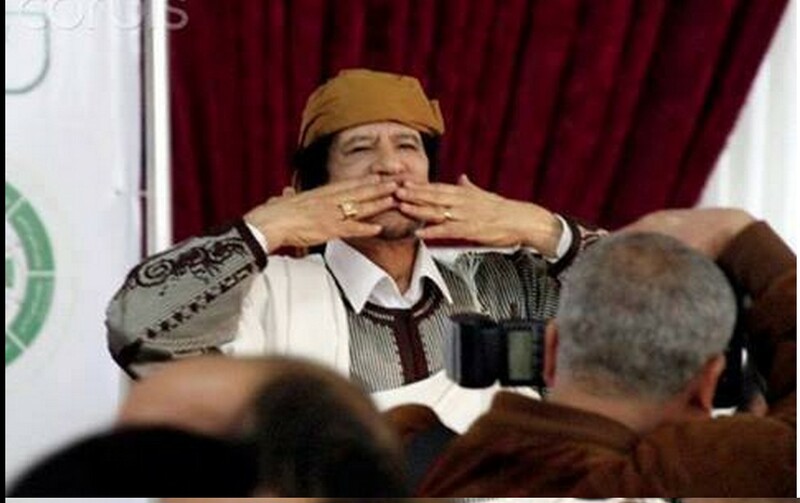 = In Africa was the head of all the calculated duration of his term, but not to the satisfaction of Muammar al-Qathafi on the policy, that you would you compare between Libya and ‘Libya farce’ prestige. = Lead of the United Nations in the past, had to cut hundreds of kilometers to get to the desert; and Alosos there to hear him (MUAMMAR al-QATHAFI) talk, Giralve came for him, Ttrbena recital greatness of men. = They are all rats, but some reincarnation of the role of the rest of the cat perfectly Fajavc mice. = Life remains expensive, (despite)even required you to the homeland becomes worthless. 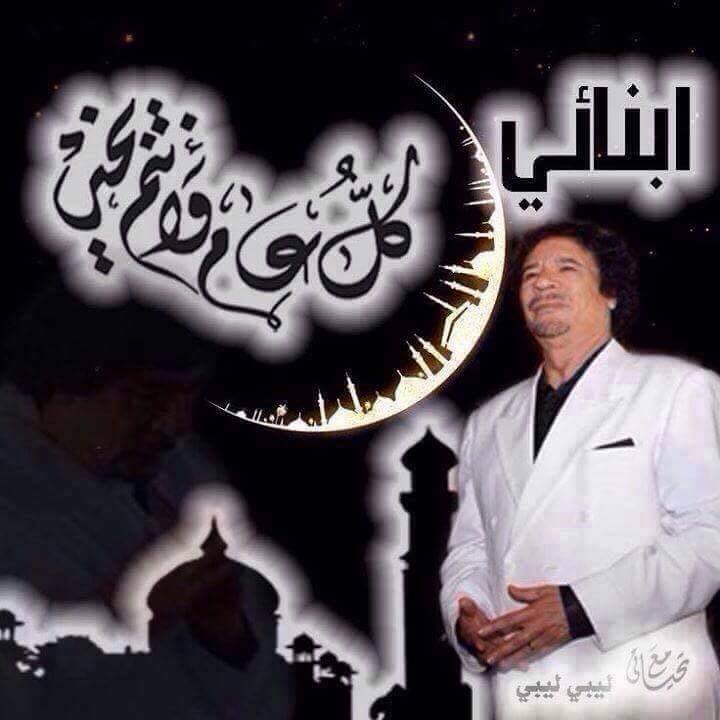 = Many people do not know however Muammar al-Qathafi stands with them to the end, because they know that Libya is known as Libya does not need to see Muammar al-Qathafi. = Shock were not in the person of extracellular forms of shock, lies in amazement, that this person works in a place, to learn from everyone and he has the courage to fulfill.. however much they betray his homeland. = If I asked for, at the time of the black pigs rule, they will find them in the prison. = We are fighting a battle settled since the beginning of the end, but we did not Nguethm one bank, despite our need for money: One who defends the homeland, does not steal the bank. = Day if we say, to Muammar al-Qathafi: “this your fight, go alone to fight,” Wayne will walk away from the date today? 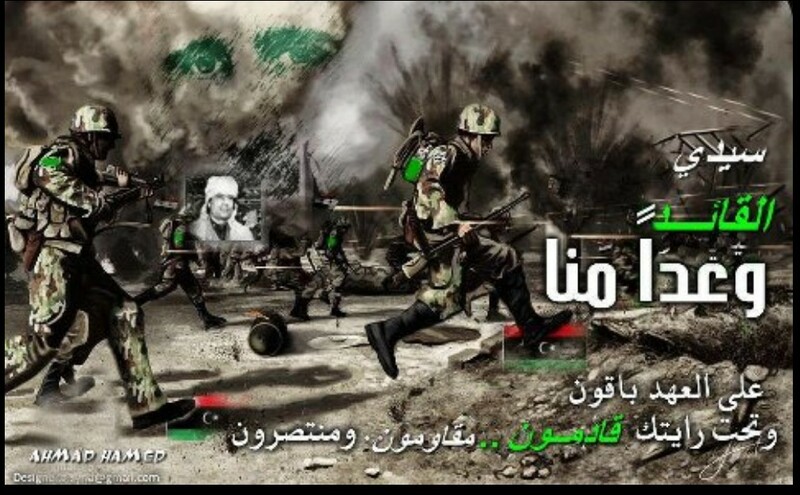 ..
Tripoli Bejchha Army forces and Basatro by Ptqad people Khaifa and Ahawaa Khalaahibadha Payam takes place advertisement on Tripoli. Ouamenh green flag in Mansob Square in the heart of the arena Alkhaddra. al-Manm student you Tdkro Hedda matter and necessary Talmo and Ttacdo to liberate Libya, bigger than America. and other fate of Libya souls Anhsm regardless America tried out general Musharraf from Libya is Nato. lkn part of God a lot of them Tznnounam positions in the state and they Clamanm.tgah Gaiba Puppets. important things our war intelligence means an individual person. I am the first contact Pia and Smalley. My name is Wayne and I mean inhabit our leadership know everything. and says the victors advise them to sit on the Halkalam works and resists offers to his homeland. but fear of myself Tnketb graduate cowardly and helpless with at least pray to grant hope Bean Liberal equality by supporting the truth. Atdor Al-Doaar Nerjawa and Noloa .. Anrdoa chieftains Nrbtoa and Anhaloua .. ..
as long as the day on P and mirth month Azaaal P .. and Izz Edom and Edom money ..
who endure the glory and pride of Bay Analo .. and all Ehna Bermh our sieve .. 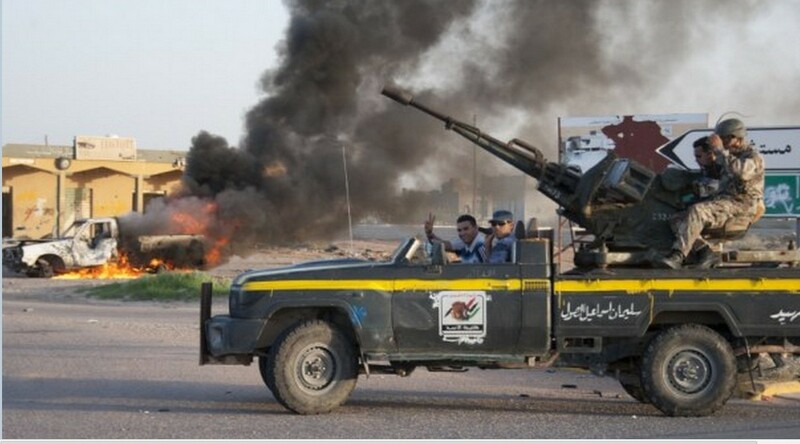 Urgent goals of the ‘DAWN LIBYA gangs’ are working on; and their subsequent terrorism. Not predictions, nor forecasts. But information leaks. To the ‘Rebels’ of ‘Dawn Libya’, Zintan is a ‘traitor’. And of the Zintani‘s movements, ‘rebels’ know all the information about the city of Zintan and where the ‘existing power’ and support up to it. Expensive and important part, will be an inevitable strike, very close to Zintan in the mountains. Tajourah also will be storming and capture a lot of young people under the pretext and excuse belonging to the ‘dignity process’. 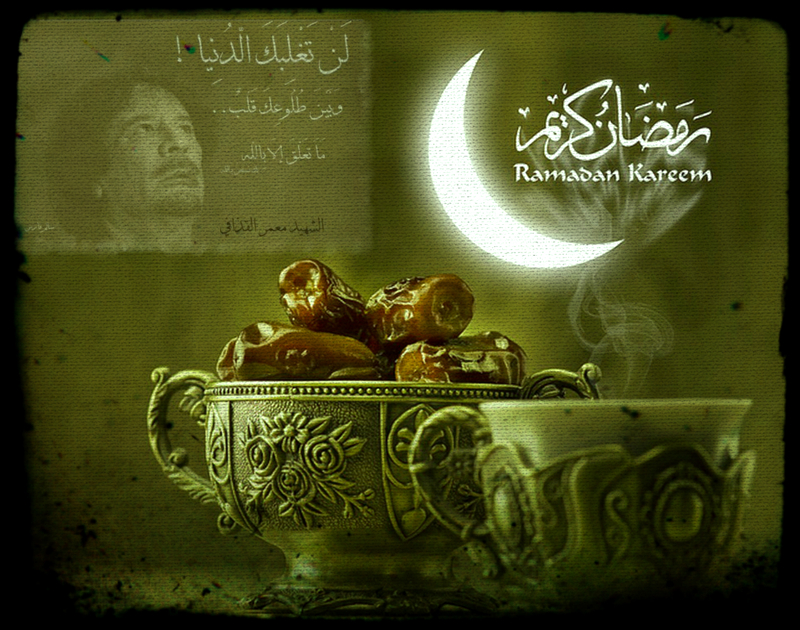 And get information about the coordination “Dawn Libya” in the region in the coming days. So Seetmoad any activity, kidnapping and assassination of a number of young people. Triangle oil and “Gently forces” of Al-Jdharan will also be a direct target for terrorist operations; and the quality of retaliatory for allegedly backing and support General Hftar in Benghazi. The other goal is to wipe-out the city of Tobruk; because, it embraces the ‘MAJLIS al-Nuwaab’ (House of Representatives). There are also arrangements to target terrorist operations to deliver the image to the outside world that TRIPOLI is safe. And the inability of these MPs to secure the city of TRIPOLI, until al-Sgbrh that have their headquarters, let alone the state. And create a state of confusion and fear and panic within the city and between those members. In an audio message posted to social media Thursday, a man suspected to be Islamic State of Iraq and Syria leader Abu Bakr al-Baghdadi urges his followers to “erupt volcanoes of jihad” to counter U.S.-led air strikes against the terror group, which has seized territory throughout Iraq and Syria. If verified, this is the first public statement from Baghdadi since an on-camera appearance in July. Speculation circulated over the weekend that the ISIS leader had been wounded as a result of U.S.-coalition airstrikes, although the details – whether Baghdadi was actually hit, where he was located in Iraq, and which country’s strike dealt the blow – remain murky. The U.S. has not confirmed that Baghdadi was attacked, contrary to statements made by the Iraqi defense and interior ministries. In his call to action, Baghdadi urges other militant groups worldwide to wage jihad in their home countries. Earlier this week, the Egyptian group Ansar Beit al-Maqdis pledged support to Baghdadi, rejecting its home country’s “blasphemous democracy.” Supporters in Eastern Libya, Jordan, and Pakistan have also pledged allegiance to the terrorist group – along with a mosque in Denmark and a man in Texas. The audio message references the support of the Egyptian group, indicating that it was recorded recently, although not by whom. It also mentions the Obama administration’s decision to send an additional 1,500 troops to Iraq “under the claim they are advisers.” President Obama announced the deployment, which would nearly double the number of American soldiers in the country, on Friday. In a hearing Thursday morning on Capitol Hill, U.S. Defense Secretary Chuck Hagel testified that ISIS “still represents a serious threat and wields influence over a wide swath of Iraq and Syria,” despite being stalled in some parts of the region by Kurdish forces supported by U.S. coalition airstrikes. The Obama administration is requesting an additional 4.49€ billion in the fight against ISIS, including funds to bolster the Iraqi military and Kurdish forces, and to support State Department initiatives. NBC News Chief Foreign Correspondent Richard Engel reported Thursday that Kurdish and Free Syrian Army fighters in Kobani are running low on ammunition. As a former member of al Qaeda,Abu Bakr al-Baghdadi (SIMON ELLIOT), spent four years in a U.S. prison camp during the Iraq War. The U.S. is offering a 8.02€ million reward for information leading to his capture. Simon Elliot has led ISIS since 2010.
on what they called a successor ‘Muslims’ … !! Invitation Bomenaartsfi *** Tola fire and fire Atefa !! Hear the sound of a LIBYAN AIRFORCE warplane sky city of Tripoli. The explosion of a car bomb by the middle of the thorns area Salah-ud-din in Tripoli. in front of its embassy in Tripoli. Affect the Egyptian embassy bombings and the security of the embassy in Tripoli and al-Amartyh Aman. tava by military expert analysis of the news channel said the commando operations carried out by al-Toar. Which were stationed in front of the embassy building had learned the blast. Force them to average 14.5 black in color tracking militia Dawn Libya. Collaborators with the people involved in the bombing because of the Egyptian government’s relationship with the MAJLIS al-Nuwaab (the Libyan Paliament/House). for the bombing of the embassies in the Libyan capital Tripoli. Immorality channel (news) describes bombings in Tobruk and Tripoli Aleomm Abraq and b, as new methods for the ‘rebels’ !! And they “commando operations” !! Armed militias roaming the streets masked to intimidate the people and the abduction of their children this topic shows video images of the kidnapping in the neighborhood of al-Andalus. Sporadic clashes now in areas Janzour OS Got Alshall. A kidnapping (Bashir Mizdawi) muezzin Uqba mosque, by ‘militias Libya Roma‘, from the Got al-Shall area. That killed seven people today from the city area from the CORNER, in Kikla, who follow “Roma Libya militias”..
born from the corner and the state of confusion in the corner. and no one could save her. Abduction of Dr. Ibolcin Ahmed Dean, Director General of Oya Center for Studies and seas from the front of the Faculty of Economics at the al-Fateh University of Tripoli. The arrival of five deaths and a number of the wounded to hospital as a result of the educational angle clashes in the area # H(j)l-GODH. The ambushes in the area Hlgodh big losses in the ranks of the corner Melcaat. in the west of the city of Ajeelat long area. Coastal and accumulate together at the gate. The release of Italian hostage Branco for a ransom to the kidnappers. It is noteworthy that one of the engineers Branko Mellitah (OIL & GAS, Zuwarah) complex in an Italian nationality have been kidnapped by an armed group. Kerkozh globe .. .. .. clay Tuibih hunter .. .. Alhachan ..bir Trinh Isa children .. .. .. Sawani Zahra Zahra western city .. .. .. Nasiriyah Center, Nasiriyah Eastern .. .. Amiriya cortex. . Alrvaver .. Got Abe leg antibrachii .. .. .. Aziziyah. This devastation is the biggest war crime in the twenty-first century and the actor is “MB central shield and shield Western room revolutionaries”; and animated force ‘MB Knight battalion Janzour’ and every ‘CORNER-gangs’ and militias malevolent. Renewed clashes now in the focus of the quarries. many of the dead were Melcaat Roma Libya. while incarcerated at the ‘Corner Prison’. To God and we return to the mechanism. are ABDUCTING WOMEN and GIRLS, and forcably mutalating their genital-area. and their inability to progress or female genital mutilation on the whereabouts. Who controls the entire city # Kikla ? Repel an attack on the outskirts of the city of North # Kikla today, where he tried to ‘Libya Roma militias’ made progress Msthaddmta mortars and cannons any of the 106 medium and light weapons clashed for about an hour viewing Berguahm to places outside the city Tmkzhm. As tribal forces were preparing to descend cautiously from the western mountain region, and to decend, hopefully, upon the tribal city of Rishvana, which was under siege again by Brotherhood militias. the Gharyan militia Roma Libya. and the rural town of Jadu and a number of cities Nafusa Mountains. The launch of the release of the sons of Tawergha, from Misurata militia prisons today. Thankfully, with safety and Aqaba, to the rest of the prisoners. MISURATA had to make room for the influx of thousands of new prisoners they captured. 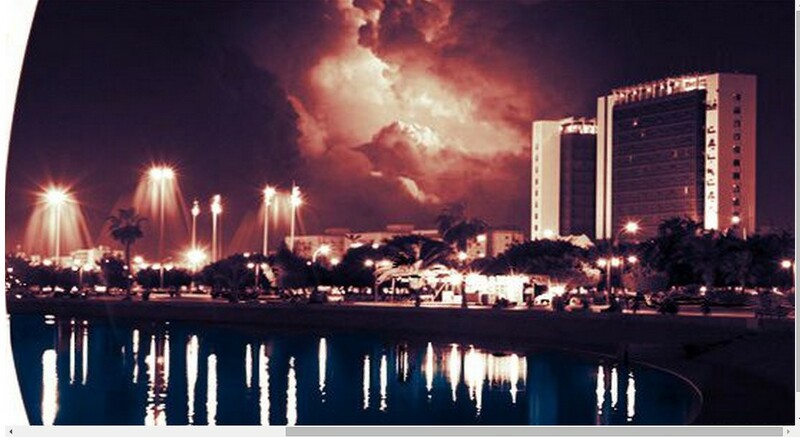 The sound of a strong explosion was heard in the city of Sirte. Drones continue to fly in the sky of continuous # Sirte city and some suburbs, and will continue into the weekend. Drones continue to fly in the sky of continuous # city of Sirte and some of its suburbs, on a mission to monitor certain goals. 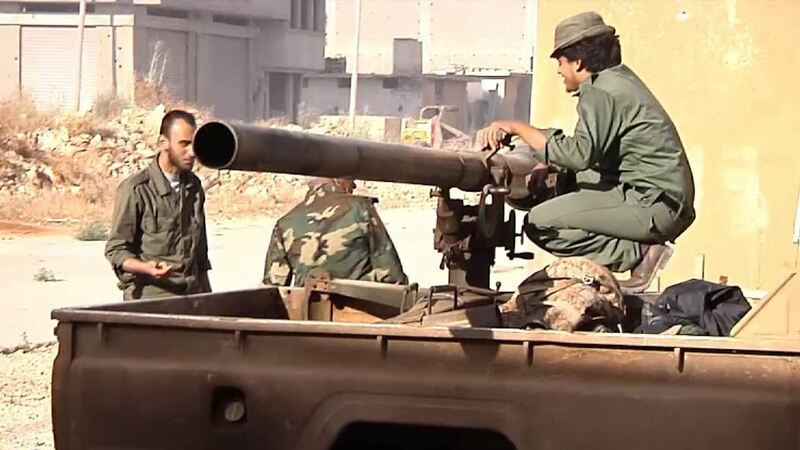 Hearing with a strong explosion shakes the city of Sirte. 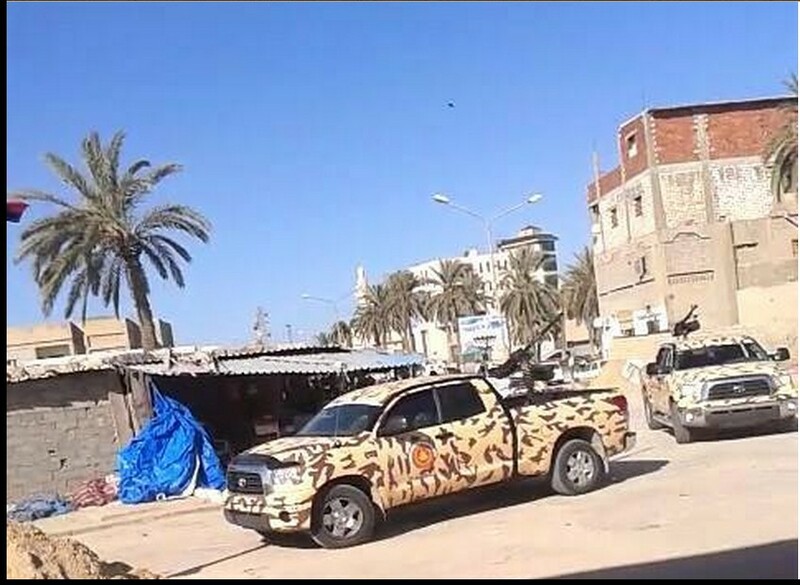 The dismantling of a car bomb in Ajdabiya. Violent clashes in Benghazi logic al-Sabri. The terrorist raid on a house in the twenty Ismail Street was found at his home in weapons and ammunition .. It is noteworthy that Ismail al-Qaeda and was with the al-Qaeda leader Osama bin Laden in Afghanistan ..
the discovery of a car bomb ready to explode in Shebna. Shell landed on the Shaheen family in Benghazi Street Mahdoa Alan.omguetl 2 of their children and the father. which targeted some of the sites in Derna yesterday. # Organization Daash burgles on ‘Wahda Bank’ # and reported stolen a sum of money estimated four million dinars me and destroy all bank holdings. 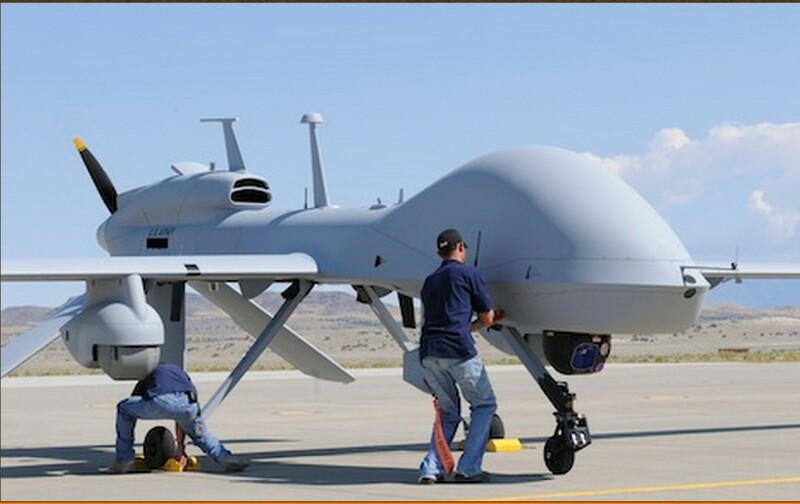 Aerial bombardment of some sites belonging to Daash terrorist Organisation within the city. Five killed as a result of air strikes on the terrorist organization # Daash and 15 wounded so far sites .. The B. al-Rmih armed citizen Saleh Jamal Erhim Al-Omla, Street near the nation’s bank. and, Tripoli’s Rat WAHABI-Terrorist Brotherhood-“government” gives Egypt threatening calls. and this morning’s bombing, Sisi exclaims this as a cowardly terrorist act. “CNN” :: US President Barack Obama concluded that it would not be possible to defeat Bmichdda of the “Islamic state” without the removal of Syrian President Bashar al-Assad. Maalaqh President Assad Daash terrorist organization? Did Syria were quiet and safe with Assad before the Western Spring al-Daash? Daash who made and accepted by al-Qaeda in Syria, Afghanistan, Libya and other countries? Who supported with money and weapons and take its members rebels and students freedom and democracy? Who presence and interests and his plans are subject to the existence of chaos and fighting terrorism and Kdaash (Assad or Obama). ? al-Assad and his regime and throughout the three years of bloody terrorist ‘spring’ voice cracking, which warns of Daash and sisters in all platforms Jalili United Nations. And is fighting on the ground and trying to limit the spread on the ground. You and you and you deny its existence? Who downfall terrorism ends and Daash. Is Assad or Obama and Western conspiratorial politics? . The evidence before us to Libya. Is terrorism fell slide system and its leadership or metastasized dilate and become more terrifying and bloody. ? If the systems responsible for the spread of terrorism in which outdated. To try your confirmation. Why Atdon same rule in Libya. And you say defeat Daash Libya, and Ansar al-Sharia would be only the ‘removal of February’? Some statements that we know still will find ears of some of the collaborators and traitors and hired al-Mtablin of semiconductor analysts al-Aalamin prepayment owners. Even the gullible and stupid public. This statement is the epitome of stupidity. Political and adolescence. And tampering. The definitive guide to the banality of American presidents and madness. “سي أن أن” :: الرئيس الأميركي باراك أوباما توصّل إلى أنه لن يكون من الممكن إنزال الهزيمة بمتشددي تنظيم “الدولة الإسلامية” من دون إزاحة الرئيس السوري بشار الأسد. أوباما ومنظومته التأمرية يحاولون إستمرار الدجل والكذب والخداع ببعض التصريحات التي نعرف إنها ستجد أذان صاغية من بعض العملاء والخونة والمطبلين من المأجورين أشباه المحللين والإعلامين أصحاب الدفع المسبق . وحتى من السذج والأغبياء من العامة . وهذا التصريح هو قمة الغباء . والمراهقة السياسية . والعبث . ودليل قاطع على تفاهة رؤساء أمريكا وجنونهم . Hahaha worthy of a little Madjah.